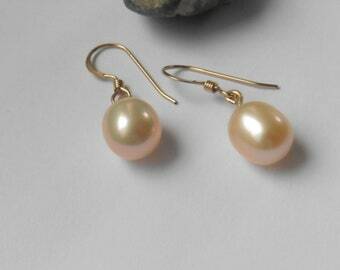 Real Pearls in Natural Colour-classy, delicate and modern, a beautiful Pair Of Pearl drops on a silver Large Creole, airy and delicate. 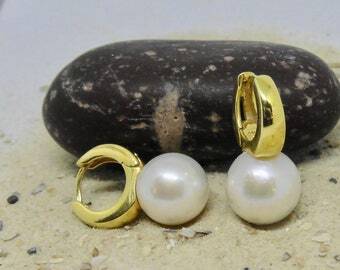 This Pair has only been drilled from above and specially searched as Earring Pair. Beautiful also as Bridal jewellery. 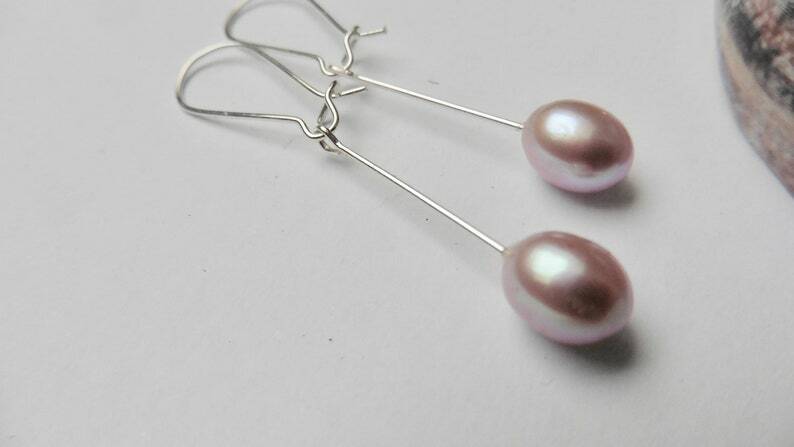 The earrings made of freshwater pearls consist of a drop-shaped bead on a high-quality silver hook made of sterling silver Wire. The beads are about 8 mm in the longitudinal section. The color is a mallow lavender.